Remember the days of renting movies from your local Blockbuster? There was something satisfying about browsing wall after wall of movies. At the time it didn’t seem so antiquated. Who would have known that approximately 15 years later you wouldn’t even have to leave your couch to watch virtually anything you want. The availability of content is endless through the many streaming services used today. Let’s look at some of the best and worst of streaming services offered today. In 2018, video streaming was a $20 billion industry, and rapidly growing. Now with the major companies producing their own original series and feature films, people are even more likely to subscribe to watch their exclusive content. Netflix and Hulu rule this category. The first hit Netflix original series House of Cards became an example of how successful original content can be. Series and movies such as Bloodlines, 11.22.63, The Man in The High Castle, and now Birdbox, have become major hits for these streaming services. Crackle is a completely free streaming service owned by Sony that best fits people who don’t really have a budget for content. There is so much content now that many don’t feel the need to pay for traditional cable and satellite services. Rates for other services range from cost free with ads to $14.99 for premium plan features. Even having multiple unique subscriptions is still cheaper than most cable options. With Hulu now offering select live sports, the one major advantage cable had over streaming, is now largely diminished. The convenience is obvious, yet undeniable. Having the ability to view brand new movies from your couch without having to go to a theater and pay $15 is without a doubt the easier alternative. Not that a date night at the local cinemas is out of the question, but on a daily basis streaming services offer you the convenience and affordability desired by many students and professionals. Although Netflix and Hulu can sometimes be constraining in what you are able to watch, Amazon Prime Video allows you to search for and watch nearly any movie you see people talking about on social media or movie blogs. The selection you have to choose from equates to the largest virtual blockbuster the world has ever seen. Keep in mind that some monthly fees do apply in addition to renting or buying certain movies. The most aggravating feature of streaming services is that your favorite show that you watch every night on Netflix may not be there when the contract with that particular network has ended and an agreement to renew is not reached. This happened recently when Netflix and FX decided not to renew which resulted in many disappointed fans. Fortunately, you don’t have to worry about that with original content. Although there are many legitimate streaming services there are also many websites claiming to offer tonight’s big sports game or a pirated movie. Often times college students, despite knowing these sites are risky, choose to give them a shot. Generally, these sites are up to no good, and it can be dangerous to use them. Whether they are hoping for you to voluntarily give them your personal information or take it via malware, there are ways to protect yourself. In fact, some anti-virus software will warn you before opening one of these dangerous sites. A good rule of thumb to keep in mind is, if it seems too good to be true, it probably is. As mentioned, having one or two subscriptions is extremely cost effective. But once you end up adding subscriptions to a variety other services such as HBO NOW, NHL.TV, and NBC Sports, things start to get pricey. 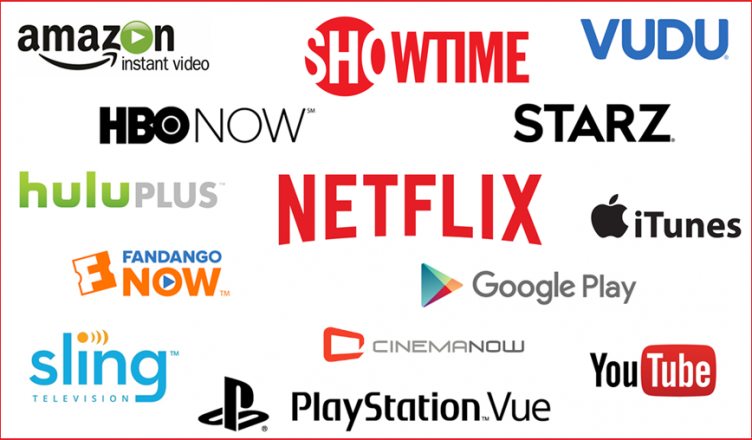 Although many cable providers offer all of these channels at a high cost, it is still more cost effective to decide which are the most necessary for you and pick a handful of your favorites that provide you with the content you desire most. Overall, streaming is growing in popularity and increasing its capabilities and offerings. As this continues, cable companies are being forced to adapt and offer different services as well. Choosing the combination of services that is right for you will allow you to view the content desired within your budget but will take some shopping around.